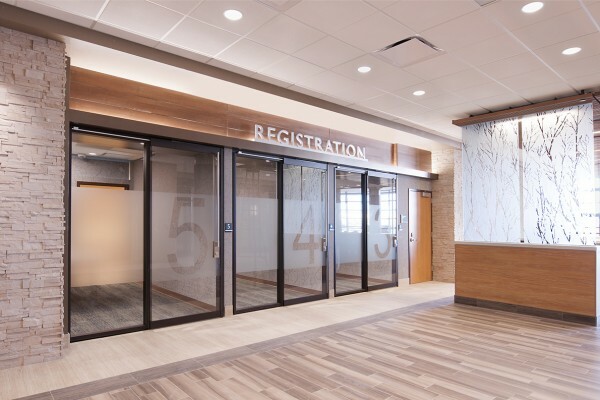 Client Profile: St. Anthony’s North Health Campus in Westminster, CO, is part of Centura Health and features an ER, birth center, breast center, rehabilitation clinic and more. 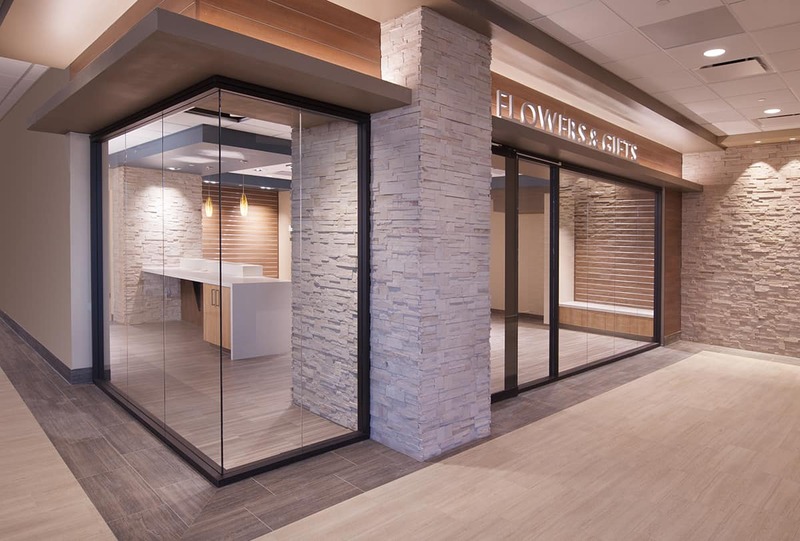 Deliverables: 350,000 square feet, including 16 registration bays, 1 waiting room, a pharmacy storefront, a gift shop storefront and an atrium lobby. Design Challenge: Like most new hospitals, St. Anthony’s wanted their facility to look less like a hospital and more like a hotel. They were eager to exude warmth and transparency with an airy aesthetic. Privacy and security, along with instant visibility into different parts of the facility, were key. 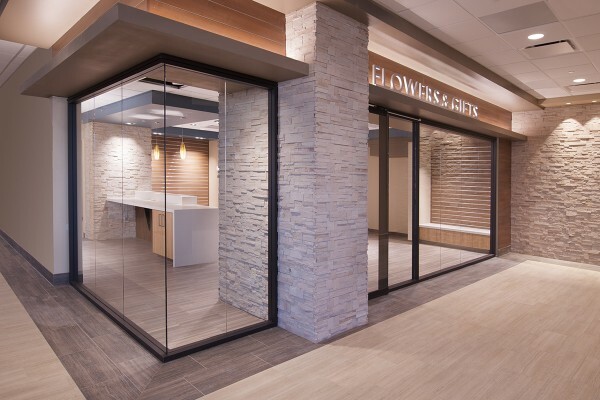 A bronze-custom-frame finish with graphic-frosted glass to match the buildings glazing was also a requirement. Finally, St. Anthony’s needed to skillfully adapt to industry change and growth. 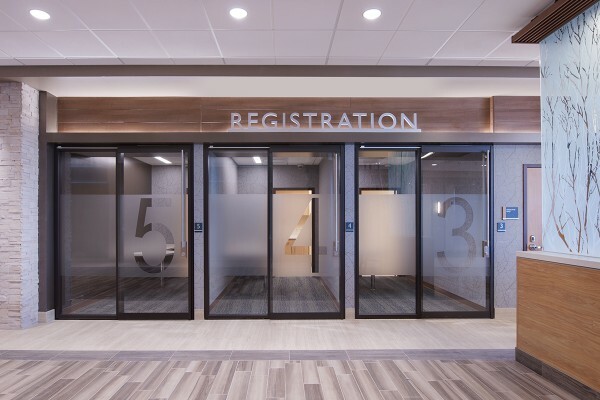 Teammates Solution: Teknion Optos series Walls (modular) with a custom espresso finish worked perfectly. Sliding glass barn doors allowed for space efficiency, quiet acoustics and privacy.